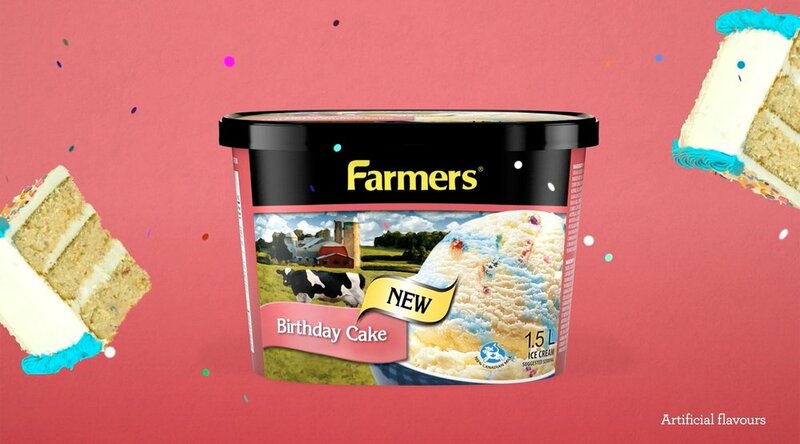 We created a summer campaign to kick off 4 new flavours for Island Farms & Farmers ice cream. Whether you’re having a little staycation or some much needed time in the sun, Agropur have just the flavour for it. Stop-motion animated preroll videos were created with lettering made out of all those tasty ingredients like coconut, lemon curd, cake frosting — yum. Some food props were even made my yours truly, because who can resist making a triple layer funfetti cake and lemon tarts when the opportunity arises. Lettering was all assembled frame by frame by hand with real ingredients like lemon curd & peanut butter which made for a sweet-smelling couple days in the studio.